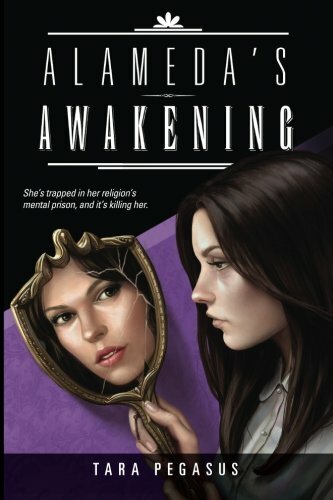 Alameda’s Awakening is a coming of age story filled with complex relationships that push Alameda (Ada) to her breaking point. Set in the 1950’s in a meat packing town, the story follows Ada as she prepares for life outside of her parents’ home. The daughter of a protestant minister, she has long considered converting and becoming a Catholic nun. Now that the time is upon her however, Ada begins having second thoughts, unsure if that is the life she wants to live. Romance, tragedy, and her family influence Ada as she must navigate the increasingly treacherous waters of her life. Author Tara Pegasus paints a darkly beautiful portrait in her newest novel as she explores this historic setting. Brilliantly written, Alameda's Aweakening is a fascinating look into the life of a young women fighting to find her way in the world. I had a chance to meet Matt Wallace at WorldCon in Spokane this year. I really enjoy the Ditch Diggers podcast that he and Mur Lafferty put out, so hearing him read upcoming work was a real treat (I also discovered that he is a mean Munchin player, but I digress). 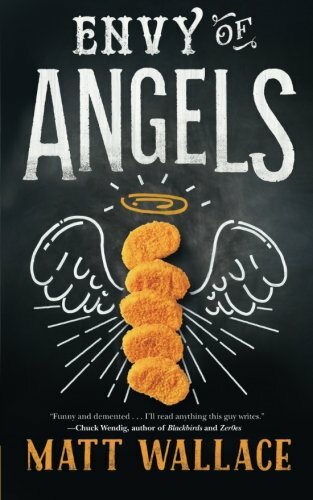 Envy of Angels is the first novela in a series about a private catering company called Sin du Jour, which caters exclusively to supernatural creatures. Two new chefs inadvertently join the ranks of the Sin du Jour staff, and are whisked along for the ride as the company must prepare an unorthodox meal with a highly irregular main ingredient. Envy of Angels is hilarious. It's irreverent. It's dark and demented and it's awesome. It's a quick read (although, I must confess that I read it much more slowly than I ought to have). Wallace nails perfectly a twisted, dark, yet light-hearted sense of humor. This isn't a heavy book, and unlike so many other dark tales, this one stays fun and fast paced without getting bogged down by gore and violence. I finished the book and immediately sighed with regret, knowing that it would be a long time before the next one comes out. THEN I remembered, hey this is a novela! It's shorter than other books. What do you know? The next one in the series, Lustlocked, comes out in January. Hooray! I HIGHLY recommend picking up this novela. This is the second of the Tor.com novelas post-WorldCon, and while incredibly different than Paul Cornell's Witches of Lychford (which I reviewed in September), it's still super high quality and worth a read. I got really lucky at WorldCon this year. The r/Fantasy Subreddit had a drinks with authors event and as part of that event, they were giving away a ton of books. 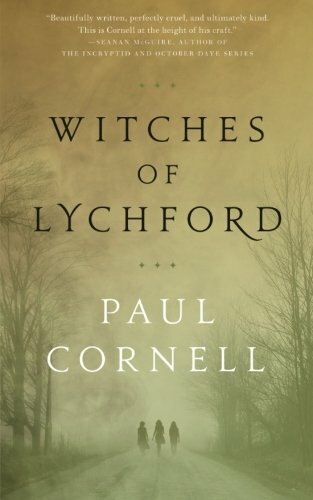 As it turns out, not only did I win, but I had a chance to get a hold of an ARC (advanced reading copy) of Paul Cornell's The Witches of Lychford, his new novella that was just published by Tor.com. Unfortunately, due to my schedule, I'm behind in posting a review (had hoped to get it out prior to the release of the book) but better late than never! Lychford is a fast, fascinating romp through smalltown Britain. A supermarket is being built for the first time, and only half the town wants it. This is particularly terrifying because building the store will tear the boundaries between our world and the magical worlds beyond. The local cook (who also happens to be a witch), the reverend, and her old friend from high school have to team up to save the day. I read Lychford in a single sitting on a plane and I greatly enjoyed it. I was sad when it was over. One of my main complaints about Cornell's other writing (I read his book London Falling earlier in the year) is that it sometimes takes him awhile to get to the action. That is NOT the case here. Lychford though is non-nonsense, charming characters that jump off the page and pull you into the adventure with them. I highly recommend checking out the novella! Here it is on Goodreads. Let’s be honest. There’s lots of fairy stories out there. If you’ve read them, if you’ve read urban fantasy like The Dresden Files or the Iron Druid Chronicles, there will be lots in Flicker that will seem familiar to you. But! There’s still a fascinating story that Kaye Thornbrugh has woven through the familiar to make this a very unique journey. Lee, a high school student, goes missing at a party. She wandered into another world, a world filled with fairies. Years later, she is rescued by Nasser, a Seer, who brings her back to her world. Flicker is about Lee’s return to our world, a world she now realizes is filled with magic. Magic that her new friends Nasser and Filo can use, and perhaps she can as well. Flicker is urban fantasy, but it isn’t jam packed with action like some. It’s a very character driven story. In fact, one of the only criticisms of the novel I have is that there is a lot of jumping between characters in the beginning. 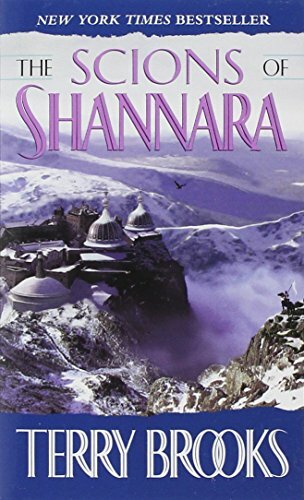 By the end of the novel, you know the characters well enough that this isn’t bothersome, but it does take a bit to get acclimated to each different character’s voice. 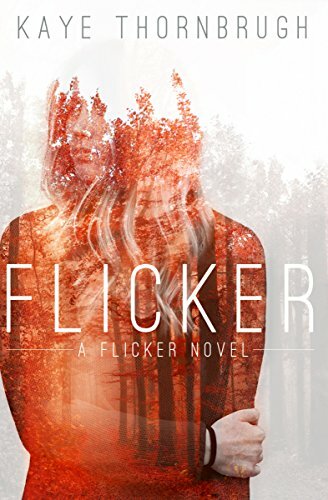 Flicker has some romantic plot points, but it isn’t a paranormal romance. Instead, it’s very much a coming of age story of friends, magic, and discovery. 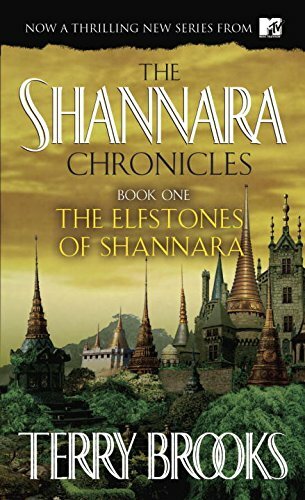 I had a chance to meet Thornbrugh at WorldCon in Spokane this year, and I knew right away that Flicker was something I wanted to read. I’m excited to check out Brightly, the sequel. If all of this hasn’t swayed you, the Kindle edition of Flicker is free on Amazon. (Would still recommend it if it wasn’t!) But hey, you should check it out. It's a fun read. Check out Flicker on Goodreads!